Have you have been seen this shape of medal for any events before? In our mind, we usually think the medal is features with a circle surface, and different sizes (from 1.5″ to 3″) and words to help us to distinguish them. Mostly a circle medal is a classic one, and it’s used for some serious events and organizations. While, GS-JJ is also made some special medals for special event or games. The below medal is this type. Here i would like to share the fashion and unique medal for you. 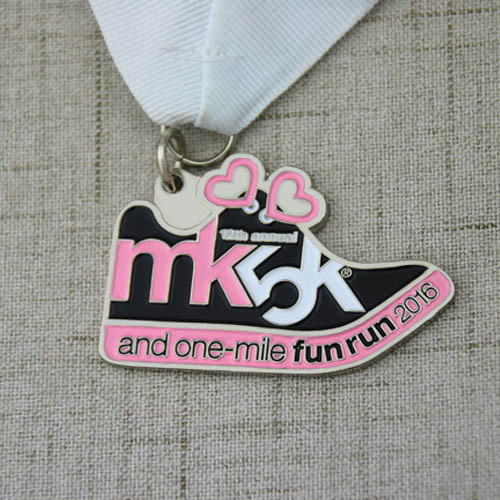 The custom fashion medal is for the Mary Kay 12th annual MK5K and One-mile Fun Run. Do you notice it’s with a shoe-shape design? This time our designer make this creative item is to meet our clients’ requirement. 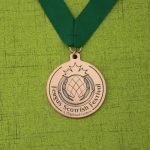 We are a professional custom medal manufacturer, and devote to offer great design according to the event. Mary Kay is a well-known fashion cosmetic company, and mainly provide skin-care and make-up products to their customers. 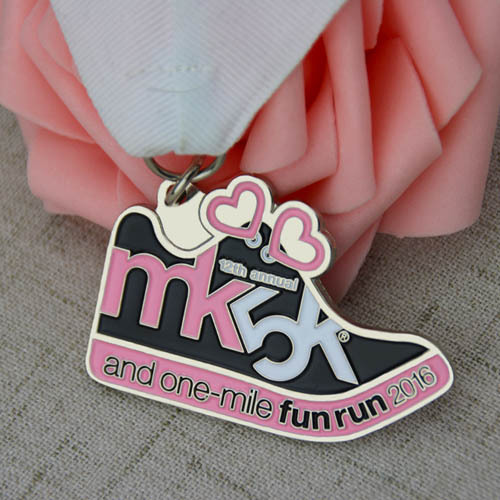 And this running race is organized by the Mary Kay Foundation, is an independent nonprofit organization that funds research of cancers affecting women and helps prevent domestic violence through programs and services offered. 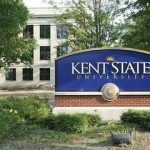 Since the Foundation’s inception, it has awarded $34 million to shelters and programs addressing domestic violence prevention and more than $20 million to cancer researchers and related causes throughout the United States. The people who work for Mary Kay is the lovable one to change society more warm. So from the above, we should think the fashion medal is more than a medal or honor. It will be awarded for part of the warm-heart people. All of them have do a little for the cancer and make the world more better.